How many horses do you have? No matter what your answer to this question is, you should be able to fit all of your horse stables within a single building. 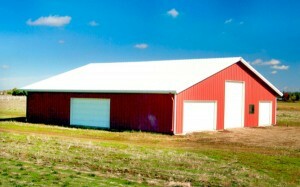 Toro Steel buildings can be anywhere from 1,000 sq. ft. to tens of thousands of square feet. When calculating how much space you will need for your horse stables, you shouldn’t have to worry about factoring in space consuming things like columns and load bearing walls. A single one of these will cut a sizeable chunk out of your available space. The light yet strong design of Toro Steel buildings ensure that this is never a problem for you. Your horse stables shouldn’t just be a place to store your horses as if they were inanimate objects. They should also protect your horses from the weather and elements. Toro Steel buildings, which are designed to be easily insulated, will help you guarantee this protection for your horses. During certain times of year, the humidity will increase significantly, exacerbating the extremity of the weather conditions. During colder months, for example, excess moisture in the air can cause dangerous frost to collect on the bodies of horses. During warmer months, your horses can become drenched in stifling condensation. This usually only occurs when a building’s design is conducive to increasing humidity. Toro Steel buildings are all moisture resistant, so humidity will be less of a problem for your horse stables. This also makes a Toro Steel building a convenient space for having your feed storage and horse stables in one place, allowing you to benefit from every sq. ft. that they include. All Toro Steel buildings are sturdily constructed. They are designed to not only stand the test of time (you won’t see any rust on them for decades), but they are also highly weather resistant. This makes them perfect solutions for horse stables in tundras, subtropical regions, and everything in between. In addition to the naturally low cost of steel buildings in general, Toro Steel is constantly driving down the prices of their products, oftentimes selling them for tens of thousands of dollars less than the original price! Toro Steel, which has been manufacturing steel buildings for over 140 years, is one of the best steel building manufacturers on the planet. In addition to all of their buildings including the features you expect in modern steel buildings, you can also count on their high quality construction and accredited design expertise. To fully guarantee their quality control standards, they retain full certification from the American Institute of Steel Construction and the Metal Building Manufacturers Association. When you buy a building for horse stables from Toro Steel, you know that you are getting the best. Contact Toro Steel today to learn more. Request your free quote today, or if you require additional accessories for your mini storage building kit, call us at 1-877-870-8676 and inquire about your options!